FC Barcelona is once again hosting the annual MuscleTech Network Workshop, to be held at the Club’s facilities on Monday and Tuesday, 3 and 4 October, and which will feature a large number of prestigious, internationally renowned researchers. 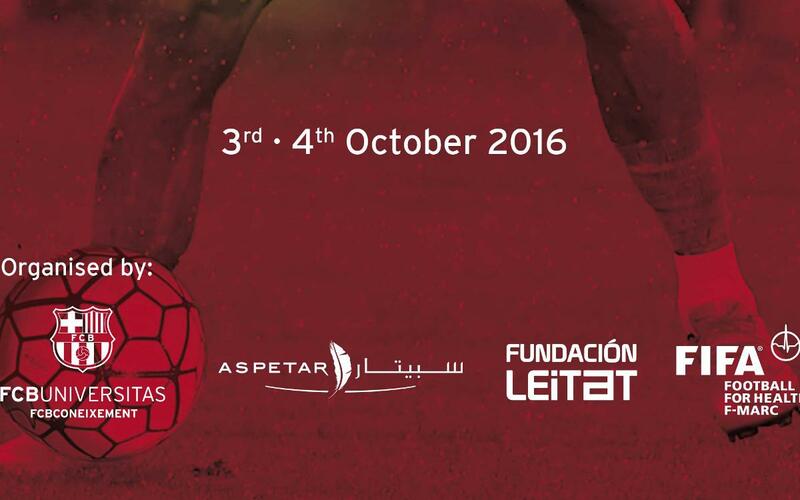 The Workshop, now in its eighth year, is organised by FC Barcelona, the Leitat Foundation and Aspetar, and is backed by the FC Barcelona Foundation, among others. The MuscleTech Network Workshop has become a worldwide reference as a meeting forum for researchers, doctors, physical therapists and trainers to share and discuss the latest trends and innovations in the field of muscle and tendon injuries. In this year’s edition, the objective is to look deeper into quadricep muscule injuries, with a focus ranging from theoretical study to clinical practice. The meetings aim to discuss and inform the public of results from basic medical research and their practical applications for the treatment of muscle and tendon injuries. Over the three days, the professionals participating will analyse, explore and reveal new ways of enhancing cooperation between hospital groups, research centers and university researchers. The Workshop opens on Monday, 3 October at 9.30am in the Auditori 1899. The opening ceremony will be led by Dr. Jordi Monés, the Club Director and the Commissioner of the FCB Universitas project; Dr. Joan Parra, CEO of Leitat; Dr. Scott Gillogly Chief Medical Officer of Aspetar and Gerard Figueras, Secretary of Sports of the Catalonian Government. The Muscle and Tendon forum, titled “Inspiring Clinical Excellence” will be attended by world-renowned researchers such as doctors Richard Lieber (United States), Carlo Martinoli (Italy), George Koulouris (Australia) and Per Aagaard (Denmark) among others, as well as the active participation of various members of FC Barcelona and Aspetar’s medical teams, and Leitat researchers. In total, more than 300 professionals from around the world will be present at this event. The MuscleTech Network is a project that is being carried out within FCB Coneixement, an initiative promoted by FC Barcelona with the aim of becoming a global reference in sports research and in the transfer and sharing of information and knowledge in the world of sports. The FCB Coneixement initiative stems from two of the Club’s basic projects: FCB Universitas and Masia 360º. FCB Universitas was conceived by the Club as a channel to be used for sharing the knowledge generated by the Club with the outside world. MuscleTech Network is promoted by FC Barcelona's medical services and Leitat, and is oriented towards research and communication between scientists and international professionals who are working in hospitals, universities and research centers with the goal of making new treatments a reality for patients. In the last eight years MuscleTech has promoted numerous international research projects and has dedicated itself to promoting and conducting research and dissemination of new results-oriented approaches for the treatment of injuries, improvements in sports medicine, promoting the healthy practice of sports and solving other problems of a social character related to muscle and tendon injuries.